National Academy of Sciences Report - See pp. 128-133 for the National Research Counsel's description of the forensic use of Deoxyribonucleic acid. Scientific Working Group on DNA Analysis Methods (SWGDAM) - a group of approximately 50 scientists representing federal, state, and local forensic DNA laboratories in the United States and Canada. SWGDAM periodically issues new Interpretation Guidelines that crime labs then implement. The 2017 guidelines that supersede the 2010 guidelines are available on the SWGDAM website. American Bar Association Standards on DNA Evidence - these ABA standards were published in 2007. They provide standards and best practices for the collection, preservation, and testing of DNA evidence and for its use at trial. In Nov. 2017, the Royal Society published Forensic DNA Analysis: A Primer for Courts to assist the UK judiciary when handling DNA and serology evidence in the courtroom. The primer provides a good introduction to forensic DNA analysis, including a description of different types of DNA mixture interpretation software. Starting Jan. 1, 2017, forensic labs that participate in the FBI's National DNA Index System (NDIS) increased the number of genetic markers analyzed from 13 to 20. Analyzing an increased number of genetic markers will make the DNA profiles more compatible with international DNA searches and will decrease the likelihood of a random match of two individuals within the NDIS database. For more information, see this NIST update. DNA for the Defense Bar - this manual for defense attorneys was written by a group of experienced defense attorneys and DNA experts. Its approach to basic and advanced topics is easy to understand. In addition to explaining the science and techniques of DNA analysis, the manual offers advice on topics such as opening and closing statements, jury selection, and cross examination. This National Institute of Justice publication is available for free download here. DNA Initiative A National Institute of Justice initiative that is now defunct, but provided information and training modules on DNA evidence. This training page contains a database of live seminars and recorded webinars offered by NIJ on various forensic topics, including DNA analysis. 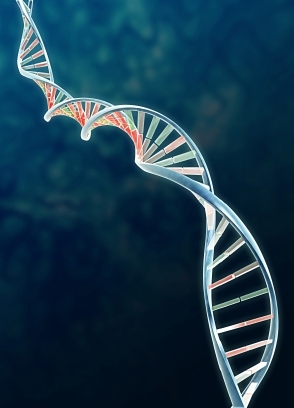 The Principles of Forensic DNA Evidence: A Primer for the Law Professional - This virtual CLE is designed to provide a foundation in the principles and evaluation of forensic DNA evidence. It may be viewed for free or for a small fee for CLE credit. Dr. Max Noureddine describes basic concepts of human genetics, key terms related to DNA evidence, laboratory procedures, technologies that aim at increasing the reliability of forensic DNA testing, and some limitations of these tools. Participants will learn about the electropherogram and become familiar with basic profile comparisons as well as anomalies and artifacts that are often revealed in electropherogram data. Making Sense of Forensic Genetics - this 2017 guide presents information about DNA forensics in a way that is accessible to both a general audience and legal professionals. It focuses on topics such as the context in which DNA evidence is discovered, DNA databases, statistics, and use of DNA to predict appearance or ancestry. DNA Mixture Lessons - Boston University Biomedical Forensic Sciences has put lessons on interpretation of DNA Mixtures online. These lessons show many examples of the phenomena that they discuss, which is helpful for understanding this complex topic. BBC Knowledge Explainer DNA - this 3 minute video explains the basics of DNA's form and function. Though the focus of this animated film is not forensic DNA, it gives important introductory information that is useful as a building block for understanding forensic DNA analysis. Discovery Checklist - this checklist can help attorneys identify what DNA lab reports have benn received in discovery and what additional items may need to be requested. Timeline of DNA Analysis in North Carolina - this document traces the development of forensic DNA analysis and its use by the NC State Crime Lab. It attempts to identify what technologies were available at what time. Information about the Charlotte-Mecklenburg Police Department Crime Laboratory is not included. DNA Audit Summary - the State Crime Laboratory has posted its DNA Section Audit Reports (1999-2016) here. If you would like a summary of these audits, with issues that may be relevant to casework highlighted, email Sarah Rackley Olson. Butler, J.M. (2005) Forensic DNA Typing: Biology, Technology, and Genetics of STR Markers, 2nd edition. New York: Elsevier. This text is relied upon by attorneys and forensic scientists using DNA analysis. It provides introductory information as well as detailed explanations of concepts such as allele drop out, low-copy number DNA testing, and mixture interpretation. It is available for use at the IDS Main Office. Recent news articles - this page contains links to recent press coverage of local and national cases involving DNA evidence and is updated regularly. DNA evidence articles - LLRX.com compiled this list of books, articles, and other publications that treat different aspects of DNA evidence, including DNA databases, forensic interpretation of DNA evidence, 4th and 5th Amendment concerns, and more. Supreme Court Upholds Taking DNA Upon Arrest - Jeff Welty of the UNC School of Government comments on the Supreme Court case Maryland v. King which allows the taking of DNA from arrestees. Weak DNA evidence could undermine justice, experts say - this July 5, 2012 Chicago Tribune article uses a case example to demonstrate the dangers of using DNA evidence that has very little probative value. New technology is allowing DNA analysis to be performed on very small amounts of DNA which may generate incomplete genetic profiles that may or may not be meaningful in a case. Forensic DNA Statistics: Still Controversial In Some Cases - this article by William C. Thompson, Laurence D. Mueller, and Dan E. Krane in the Dec. 2012 issue of The Champion is a must-read for attorneys dealing with cases with DNA evidence. The authors show how subjectivity and bias may play a role in DNA analysis, particularly in cases involving very small amounts of DNA, partial profiles, or mixtures. Fallible DNA evidence can mean prison or freedom by Linda Geddes, New Scientist August 11, 2010 - gives an explanation of how subjectivity and bias affect DNA analysis. Discusses issues such as partial profiles, allelic drop-out and drop-in, mixtures, and thresholds for analysis. Communicating Statistical DNA Evidence by Samuel Lindsey etal. Jurimetrics 43 (2003). This article presents what DNA analyses can and cannot reveal and a way to improve judges' and jurors' understanding of evidence involving probabilities and statistics. Forensic Trace DNA: A Review by Roland AH van Oorschot etal. Investigative Genetics (2010). In a very accessible way, this article describes issues associated with what is often called "touch DNA." Topics covered include evidence collection, DNA extraction, amplification, profiling and interpretation of trace DNA samples. Application of Low Copy Number DNA Profiling by Peter Gill, Croatian Medical Journal (2001). This 4-page article describes considerations that must be taken into account with Low Copy number (LCN) DNA, including allele dropout and the possibility of contamination. Low Copy number DNA analysis allows a DNA profile to be obtained from just a few cells. Evaluating Forensic DNA Evidence: Essential Elements of a Competent Defense Review by William C. Thompson, Simon Ford, Travis Doom, Michael Raymer and Dan Krane in the NACDL's Champion Magazine (2003). Gives an explanation of how to read reports and sources of ambiguity in interpretation. Part 2: Breaking open the black box: How to review the electronic data - Part 2 of the above Champion article. Provides information about interpreting raw data and working with DNA experts. Includes a sample Discovery Request. Mixture Interpretation: Defining the Relevant Features for Guidelines for the Assessment of Mixed DNA Profiles in Forensic Casework by Bruce Budowle, Ph.D. et al. in J. Forensic Science, July 2009. Discusses what guidelines, studies, criteria, and procedures labs need for DNA mixture interpretation. The Potential for Error in Forensic DNA Testing (and How That Complicates the Use of DNA Databases for Criminal Identification by William C. Thompson, for the Council for Responsible Genetics (2008) - discusses how false incriminations can occur in forensic DNA testing, including coincidental DNA profile matches, accidental transfer of DNA, errors in labeling of samples, and misinterpretation of test results. Short Tandem Repeat DNA Internet DataBase - forensic DNA analysis resources compiled by John Butler. Includes training materials, technical information, and a collection of data by the National Institute of Standards and Technology (NIST). Forensic DNA Mixups - this Feb. 2015 Ted Talk video by Dr. Greg Hampikian covers forensic DNA errors including statistical and interpretation errors and contamination issues. DNA testing terminology - a glossary of DNA testing terms prepared by Forensic Bioinformatics. Forensic DNA: Consulting and Education in Forensic Science - contains links to articles and a historical timeline related to DNA under the "Resources" tab.